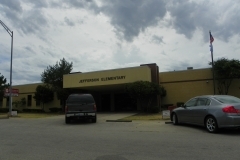 Jefferson School is a single-story, essentially L-shaped structure constructed of buff bricks laid with a running bond. The structure runs 227 feet north and south by 123 feet east and west. Over the gymnasium/auditorium the roof is arched with parapets capped with limestone blocks, while the rest of the structure has a flat roof and capped parapets. The main entryway, located at the exterior angle of the L, is recessed and framed by pilasters and a “lintel” that extends to the roof line as a cornice. Decorative brick work on either side of the doorway suggests a sense of play on the part of the masons. Window openings with brick sills have been enclosed with wood inserts and smaller aluminum sash windows installed. This alteration has not affected the architectural integrity of the building. 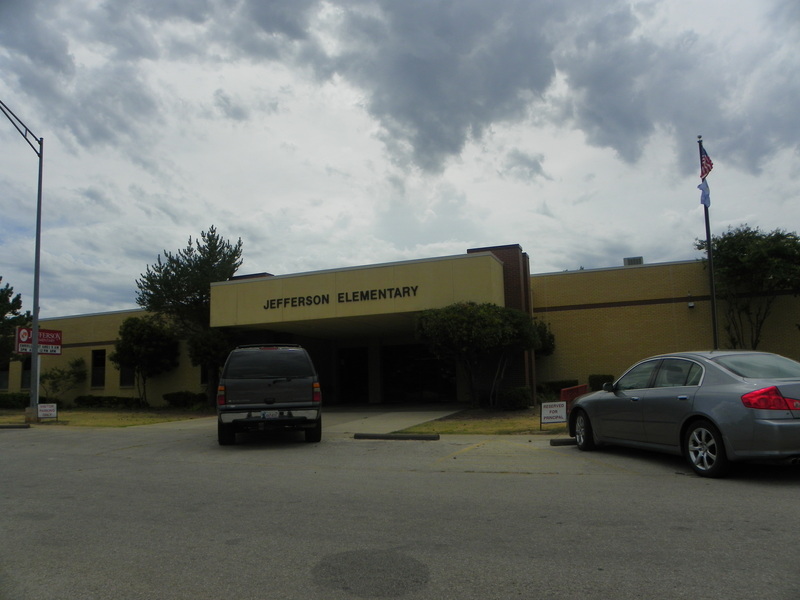 Jeff er son School reflects the difference between urban and rural construction projects by the Oklahoma WPA. 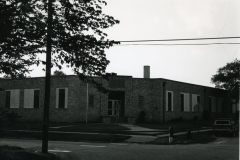 Schools of Jefferson’s dimensions and brick materials were much too expensive for rural school districts, where smaller, native stone buildings predominated. 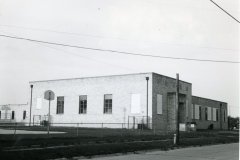 Replacing a dilapidated and run-down structure, the WPA facility introduced a new generation of students to an environment conductive to learning–a service that it continues to perform. Significantly, construction of the school provided jobs to destitute laborers who had been forced onto relief rolls by the depression. Architecturally, the building is unique in the community in terms of style, scale and workmanship. VERBAL BOUNDARY DESCRIPTION: The south 50.7 feet and east 27.8 feet of Lot 3, the south 46 feet of Lot 4, all of Lots 5, 6, 7, 8, and 9; the north 10 feet and the east 50.2 feet of Lot 11, the east 86 feet of Lots 12 and 13, and the east 87 feet of Lot 14, in Block 462, Ardmore City original plat.